If you're an Android owner that's been looking with envy at the Apple TV, your device has arrived. The Google Nexus Q ($300) is Mountain View's answer to Apple's little black box, but isn't a total knock-off, either — it packs dual ARM Cortex-A9 CPUs, 16GB of storage, 1GB of RAM, Wi-Fi, Bluetooth, NFC, a 25W amplifier with banana jack outputs, micro HDMI and optical audio outputs, Ethernet, a Micro USB port for service and support, and Android 4.0, all into a crazy, orb-shaped body that sports 32 LEDs that bounce to the beat of whatever you're playing. The craziest part? It's interface-less — just fire up Google Play or YouTube on your device and go. One of the big problems with portable projectors is content — while the projector itself might be easy to carry around, your satellite service? Not so much. 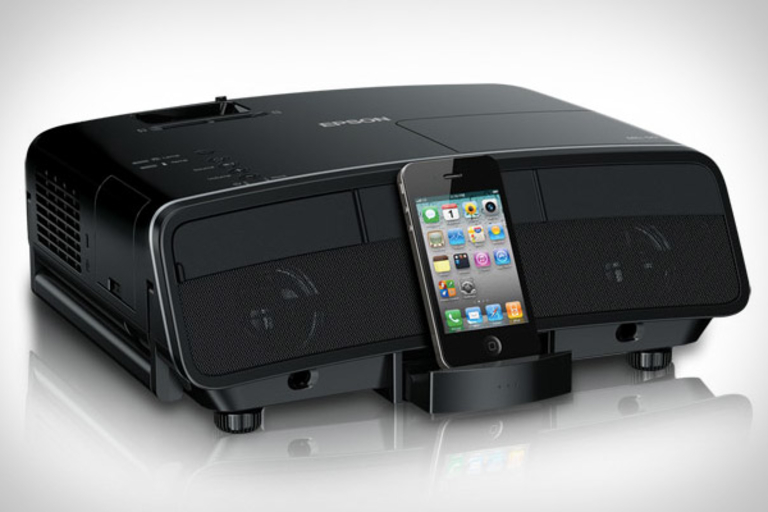 The Epson Megaplex Projector ($800) solves this problem by building an iPad, iPhone, and iPod dock directly into its dual 10-watt speaker laden back, while a 3LCD projection system blasts out a 720p image at up to 2800 lumens. Of course, it also offers HDMI and component/composite video inputs for those times when you need something more than the movies/presentations/games that your pocketable buddy can offer. We're using our review unit every night at the campsite this summer. And here you thought your 60-inch LED TV was cool. These new LG Cinema 3D Smart TVs ($TBA) up the home entertainment ante with a 55-inch OLED model and a monstrous 84-inch UD model that sports a crazy 3840x2160 panel, ensuring it'll be useful for years to come. Other features include bezels as little as 1mm (! ), access to over 1,200 apps, newly redesigned 3D glasses, and supermodel-thin bodies. Considering all the other things we've seen reduced to stick form, it's no surprise that the Roku Streaming Stick ($TBA) looks ready to make that not-so-smart TV of yours a lot more useful with a minimal amount of fuss. Resembling a USB thumb drive, the streaming stick packs Wi-Fi, a processor, memory, and specialized software into a tiny enclosure that connects directly to the MHL-enabled HDMI ports on modern TVs, ensuring up-to-date software and access to services like Netflix, HBO Go, Hulu Plus, and Pandora long after you've upgraded your set. For anyone thinking of cutting the cord with their cable company, losing out on live broadcasts is often the number one thing holding them back. 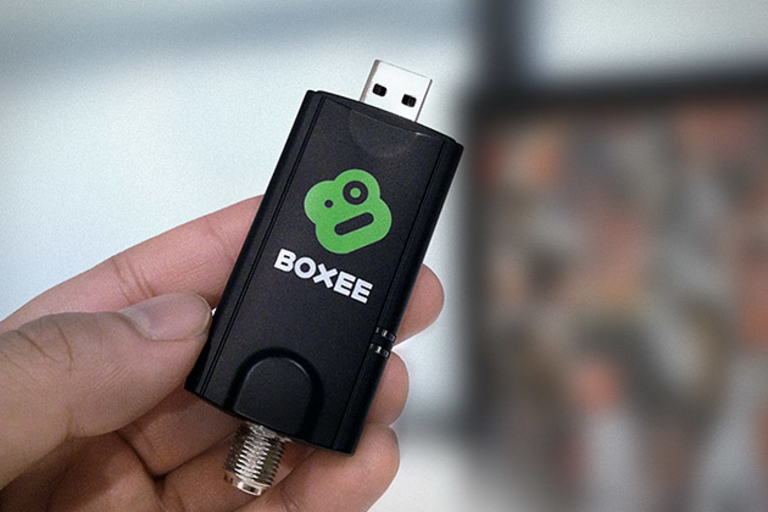 Boxee Live TV ($50) aims to bridge this gap by connecting the Boxee Box to an HDTV antenna or unencrypted cable connection, giving you access to local broadcast stations, and replacing the typical, boring guide with a friendly show-finding interface that lets you receive recommendations from friends, and even remove channels that you never watch. Cheer yourself up after that devastating Red Sox loss last night with a big ol' TV. 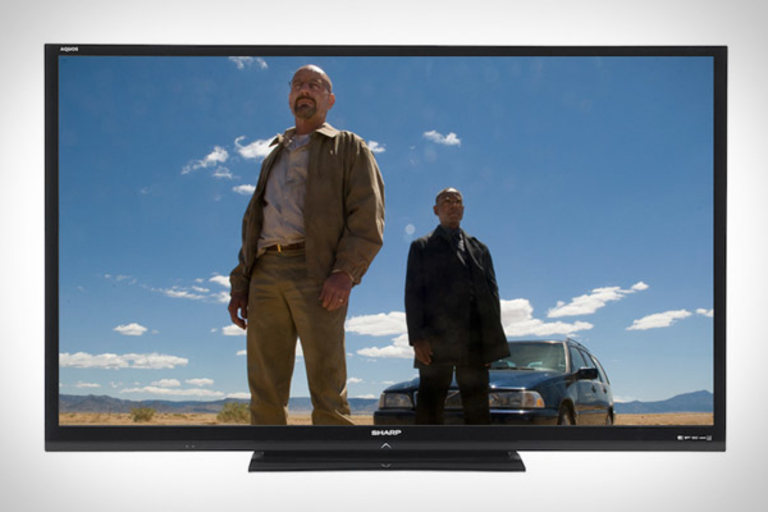 The largest LED LCD TV to date, the Sharp Aquos LC-80LE632U TV ($5,500) gives you 80-inches of viewing area (to watch anything other than the playoffs), a full HD 1080p X-Gen LCD panel, built-in Wi-Fi, and access to apps like Netflix, CinemaNow and VUDU. It's also got a full array LED backlighting system that produces a crazy dynamic contrast ratio of 6,000,000:1, along with a blur-killing 120Hz Fine Motion Enhanced engine, all packed up into a 4-inch deep casing. Lately we've heard a lot of people refer to their new TVs as "future-proofed" since they offered 3D features that aren't really used right now — but if you really want to future proof your setup, pick up this Sony 4K Home Theater Projector ($25,000). If you're unaware, 4K is a next-generation video standard that will see astoundingly detailed 4096 x 2160 images pushed across the airwaves. This new projector handles them with aplomb thanks to a new SXRD panel and lamp that supports images up to 200 inches in the diagonal and a 4K "upscaler" for measly 1080p content, and also offers installation options like dual triggers, a 2.1 motorized zoom, expanded throw distances, an RS232 interface, control over IP, and compatibility with most home automation systems.